NC Health Insurance – Get Vision Coverage Now! 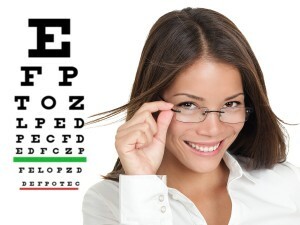 Did you know that most health insurance plans do not cover routine eye exams, glasses or contact lenses? If you recently enrolled or intend to enroll a health plan for 2017, you may want to consider adding a vision plan. Regardless of your age or health, routine eye exams are an important part of practicing preventive health care. Even if you think your eyes are in great shape, an eye exam can help your doctor see potential problems you may not notice. Unfortunately, many ACA health insurance plans do not offer vision coverage and this can leave you with a big gap in coverage and a lot of potential out-of-pocket costs. Having a vision insurance plan can assist you in maintaining routine eye care and will even help pay for contacts and glasses should you need them. Eye exams are especially important for young children because they can help ensure that eyes are developing normally and can assist parents in identifying any problems with vision a young child may have, but not be able to express. In addition, during a comprehensive eye exam, your eye doctor will not only determine if you need prescription glasses or contacts, but also check for diseases of the eye such as glaucoma. For as little as $11.40 a month, you can make sure your eyes are covered and can save hundreds of dollars on contacts, glasses and more. A vision plan is a smart and inexpensive way to protect one of your most important assets – your eyes! Many ACA health insurance plans do not offer vision coverage for routine eye exams, frames, lenses or contacts, which can leave you with a gap in benefits and a big out of pocket expense. Having a vision insurance plan can assist you in maintaining routine eye care and will even help pay for contacts and glasses should you need them. Eye exams are important for individuals of all ages because they can assist in identifying any problems with vision, as well as other health issues. In addition, during a comprehensive eye exam, your eye doctor will not only determine if you need prescription glasses or contacts, but also check for diseases of the eye such as glaucoma, which is important for your overall wellness. 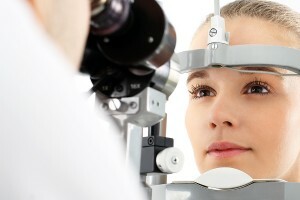 As with all types of health care, preventive maintenance is always the best option and your eyes are no different. Did you know that regardless of your age or health, routine eye exams are an important part of practicing preventive health care? Even if you think your eyes are in great shape, an eye exam can help your doctor see potential problems you may not even notice. Unfortunately, many ACA health insurance plans do not offer vision benefits for routine eye exams, frames, lenses or contacts, which can leave you with a gap in coverage and a big out of pocket expense. Having a vision insurance plan can assist you in maintaining routine eye care and will even help pay for contacts and glasses should you need them.